Fascinating sales data has been flooding in over the last few hours, giving us a detailed insight into how Nintendo performed in the US last year. We already know that Super Smash Bros. Ultimate was the fifth best-selling game of the year across all platforms, and that Switch was the best-selling system, but how do the Switch-specific charts look? Well, it just so happens that we have that very data for you right here, courtesy of the NPD Group's Mat Piscatella. The following is a list of the top ten best-selling physical games on Nintendo Switch for 2018 in the US. Note: This chart has been ranked by dollar sales, not unit sales. 6) Pokémon: Let's Go, Pikachu! 7) Pokémon: Let's Go, Eevee! 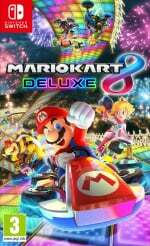 Piscatella has confirmed that 'Mario Kart 8' refers to both the original game on Wii U and the Switch's Deluxe edition combined, although, in his own words, "it's really Deluxe". It's interesting to see that the top evergreen titles of 2017 were still among the most popular last year, with Mario and Zelda no doubt being snapped up by new Switch owners, and it's also interesting to note that every single game in that top ten list is a Nintendo-published title. Did you buy any of these top ten games this year? Are you surprised by any of the games that made it into the list? Let us know in the comments below. "This chart has been ranked by dollar sales." so in just 25 days, Smash Bros made more money than any other game on this list. my goodness. I'm glad this little indie project found a niche audience. I guess you could say it was a Smash hit? That aside, I own every game on this list. Because LG Eevee and Pikachu are the same game. Also 5 bucks says someone is gonna argue that the dominance of 1st party titles is somehow a bad thing. Happy for DKTF. It is a good game. Even though it's hard as nails. Good job. The first party titles are the reason people buy Nintendo systems in the first place, it can be discouraging to other developers anyway. My Top 3 Switch games so far, including the game that hasn't been released on USA version yet. I must have bought MK8 at least 4 times, once for the Wii U, 2 physical copies for the Switch - 1 i gave away to my nephew, 1 I traded towards another game and the other day I bought the digital version for £33 whilst it was on sale on the eShop. The same goes for BotW, traded it for another game and will wait for a sale to download a digital copy. When will they bring a snowboarding game to switch? - 1080 or steep - not that weird one from the other day. @Heavyarms55 agree that the Pokégames should be grouped together. I imagine they’d be significantly higher in the list if they were. @CharlieSmile I know you were being sarcastic, but in the video game market Nintendo pretty much is "niche audience". It's really hard to find anything quite like Smash on another platform (there's some indies and Sony tried to make their own Smash, which was pretty bad). Mario Kart 8 has been doing well on the Eshop charts as well these past few weeks. With it still selling so well, I wonder what the chances are of us getting Mario Kart 9? It would seem to crazy not to release a new entry though, for as well as Deluxe is selling MK9 would trounce it and likely go on to be the Switch's biggest selling game. Imagine how well the Switch will do next Xmas if it has a new Pokémon and Mario Kart. Can we see totals amounts please? Lol at super Mario party beating Pokemon. You people said it would stop the world from spinning. It's a good game, but it doesn't deserve to sell so much now, at least until it gets a big discount. Same with NSMBU. Yes, 4 of the games were from 2017, but I continue to say 2018 was a great year for switch. Yes, I purchased and played a lot of indies, but the first party games are solid. @LUIGITORNADO Lol at not taking into account that the combined sales of the two Pokémon games probably beat Super Mario Party. @zander_dale Base.com have a product listing for Steep on Switch. Exciting! Hopefully it means it's happening! The list probably reflects a lot of new Switch owners who are either new to Nintendo or returning to it after a long break. And that's a good thing. Newbies naturally gravitate first towards the classic must have titles that everyone talks about as easy recommends for beginners and that's perfectly fine. Similarly Switch had a lot to prove to developers before they would put a lot of resources into it, which is now starting to happen. So as Switch matures we should see more 3rd party and indie breaking into the top rankings. Still, it has to be said part of the appeal of Switch is that it has games you can get on no other platform. That's a huge plus for Switch too. I'm excited to see how much this sold world wide. it's amazing to see this game just selling. i was expecting Ultimate to beat Smash Bros on Wii U, and not pass the 3DS version and Brawl, but it's looking like it will. Guess it goes to show, That this Game just ate my own words too. @Lionyone @zander_dale Steep was coming to Switch at first but they canceled it half a year ago. Thank god kirby is getting some more recodnigtion. @Late Yes I remember that. Nevertheless, maybe the Base listing suggests it's back on! I'm a little disappointed that a genuinely good third-party title like Octopath Traveler didn't even break the top 10 (even though I'm secretly quite pleased Kirby edged in there). I wonder what would be in 10th spot if the Let's Go Pokémon titles were grouped as one. Even though it likely outperformed Square-Enix's expectations, it bums me out to not see Octopath make the top ten. I owned all of these. Sold Splatoon 2 because it became too repeatative. Sold DKCTF because after finishing the game I realized it wasn't very fun to me, just brutally difficult. Rest are great games though. Just my opinion. Eevee can’t beat pikachu huh? Poor little fluff ball. I got your back buddy! Wow the fact that almost half came out in 2017 is crazy! Very impressive numbers for Smash only being on sale for a few weeks. Can't wait to see what they bring in 2019! @Heavyarms55 Yeah, I totally agree with that first part: They are just variations of the same game. It's Pokemon Let's Go, and you're simply choosing what "skin" you'd like. So, adding the two versions together, it's clear Pokemon Let's Go would be way higher on that list, and maybe even right at the top. Seems about right, there just weren't any big third party games to compete. The major third party releases this year were all in development before the Switch was even a thing so the only one putting out big production sixty dollar games on the platform was Nintendo. I think 2018 really demonstrated the financial strength of the Switch and the success found by indie developers shows that there is money to be made from software sales that aren't Nintendo IPs. I think 2019 will be more of the same with ports of old games and indies doing very well for ports of old games and indie titles and some first party Nintendo games that are Nintendo games. But If think 2020 will be the year Switch starts seeing regular third party releases though I don't expect them to ever have regular AAA releases in parallel with Sony and Microsoft. @Krull To be fair, it's a classic style 2D JRPG. So it's fairly niche and can't really be compared with the mainstream appeal of most Nintendo exclusives. Didn't expect these two games to be on the list. Thought Mario Tennis Aces would crack the Top 10 instead of one of those two. Very nice. Good news for Nintendo means good news for Switch fans. Hopefully these sakes #s keep the games coming. I own most of the game’s on this list (not interested in Mario Party) but still need to get Kirby & DK. People wonder why Nintendo rarely drops their MSRP for their games. Here's the reason, Nintendo games continue to sell even after several months on the market. This is helped by the fact that Nintendo is known for (mostly) complete games without common game breaking glitches. Nintendo has the highest standard of quality. When I say quality, I mean the game is not rushed out the door with microtransactions and first day DLC golore. Take note EA, Activision, and Ubisoft, your days are numbered. I don't want to say the same for Bethesda, but with Fallout 76 being in the state that is in, it's a miracle Bethesda still has my respect. @penamiguel92 Nintendo doesn't drop price because it's the only company offering its exclusives. So they know little fanboy miguel will buy the game for $60, 4 years later, also heavily powered by the sunk cost fallacy. Same reason people own 8 Nintendo 3DS' because of "exclusive editions" (aka reskin). Also I don't know what you're on but Nintendo has been on the DLC cancer train for years now. 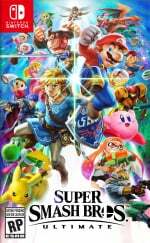 Smash dropped and "season pass" (aka cancer) was already announced and available, same with Zelda etc. It's actually incredible in Odyssey they give those costumes for free instead of milking the fanboys. 3RD Parties are not represented (miss). I really enjoyed Civ 6 on Switch, and I bought RBI Baseball on day 1 (and will again next year - though I usually buy digital). I wish AAA 3rd parties sold better on Switch, I'd hate to lose their support. I love having so many great Indie games. I'm glad we have their support. Turbo Football is my latest game I'm so glad is on Switch. @lifepsychedelic Try reading my comment again, but slowly and without being triggered. You will realize that DLC has an adjective. Glad to see Tropical Freeze and Kirby in the list. It's nice to have successful games that don't have Mario in them. Hopefully we'll get a new Donkey Kong Country game soon. @Mando44646 I know they are usually separate, but they never should have been. We have never really had different version with anywhere near enough actual difference to consider them different games. Unsurprisingly Nintendo has published the entire top-ten of highest grossing physical games on Switch. I understand why some publishers find their platforms hard to compete on. You're competing against Nintendo. For the dollars in the pockets of Nintendo fans. 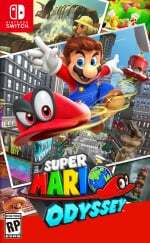 And with the prices Nintendo's games retain, even now, two launch titles from the big N add up to a similar amount as does three titles from other big publishers. Not a lot of dough left for supporting otherwise reasonably priced offerings, if you feel Zelda and Mario Kart are must-haves on your new Switch. Plus, third parties have to pay platform royalties, and whatever Nintendo charges for the cartridges. Pokemon Let's Go would be 4th on the list if sales of the Pikachu/Eevee SKUs were combined. 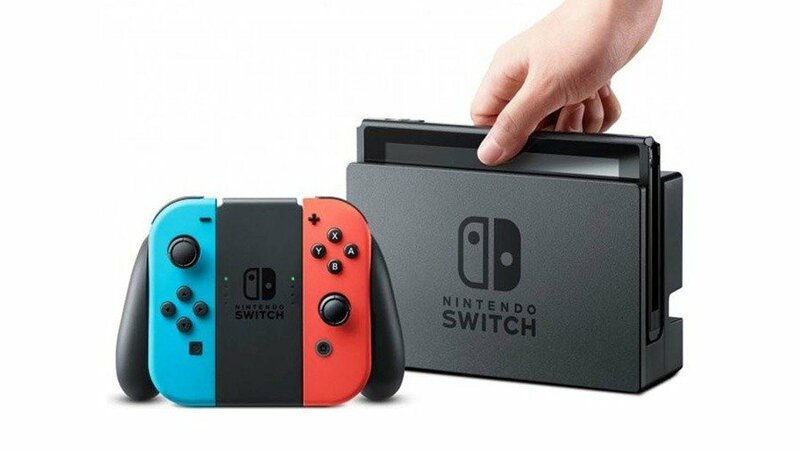 The lack of eShop tracking in the NPDs is problematic, since Switch digital sales are significantly higher than 3DS digital sales. Indeed, Pokemon Let's Go sold more than twice as many digital copies in November 2018 than Pokemon Sun/Moon did back in November 2016. Sun/Moon has still sold more total copies overall, but the gap is a lot smaller once digital sales are added in. All first party titles. That says something. What is weird is fortnite not being there... Do microtransaxtions sales do not count? ?